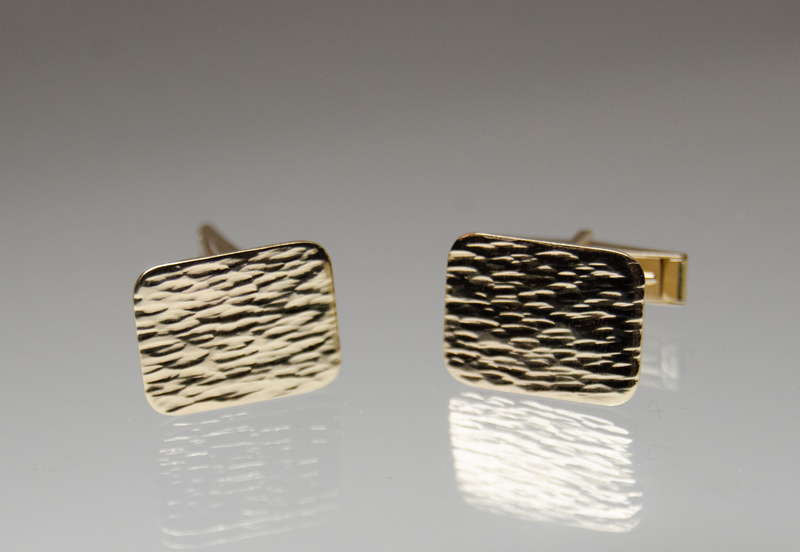 These cufflink are fabricated out of 14K yellow gold and are textured with an Ocean Surface Pattern. 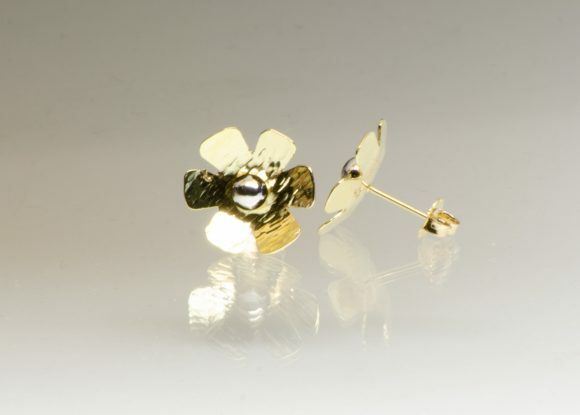 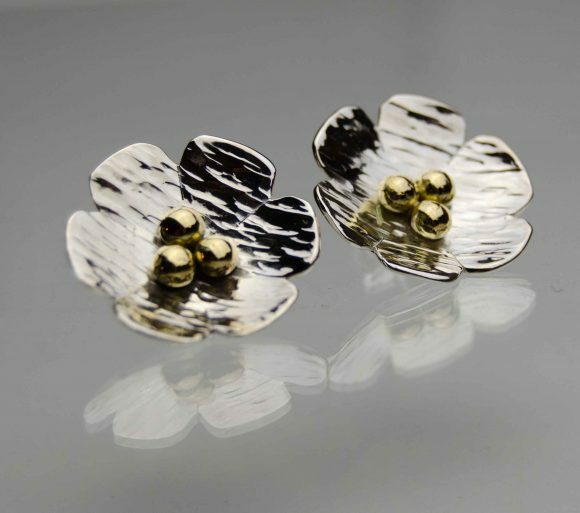 These flower earrings are made of 18K gold with a fine silver center and measure 16 mm in diameter. They are part of a collaboration with Nikki Sedacca Designs. These earrings are fabricated from 18K gold and feature a petal and leaf textured with our Ocean Surface Pattern. 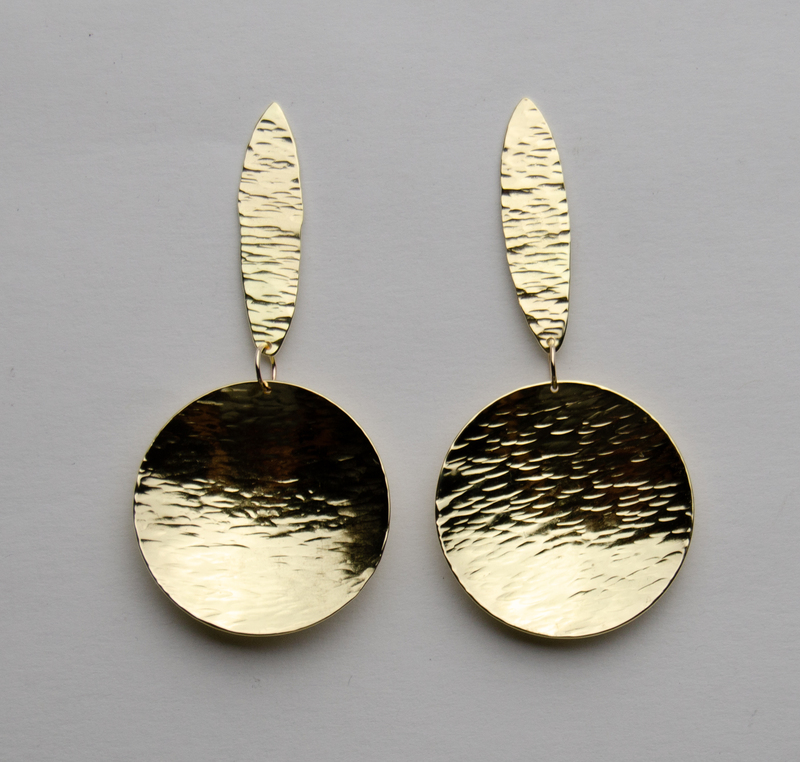 The are part of a collaboration with Nikki Sedacca Designs. 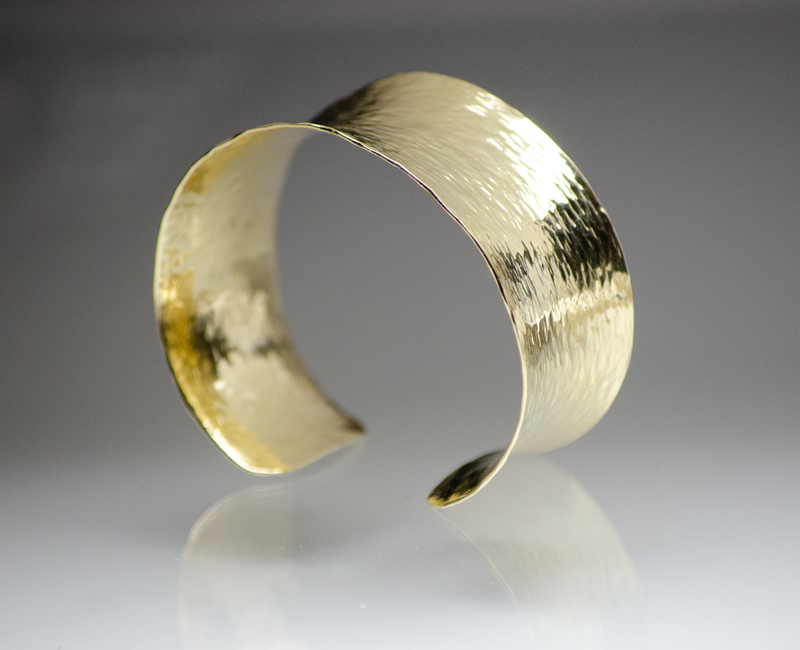 This cuff is fabricated from 18K gold and textured with my ocean surface pattern all the way around. 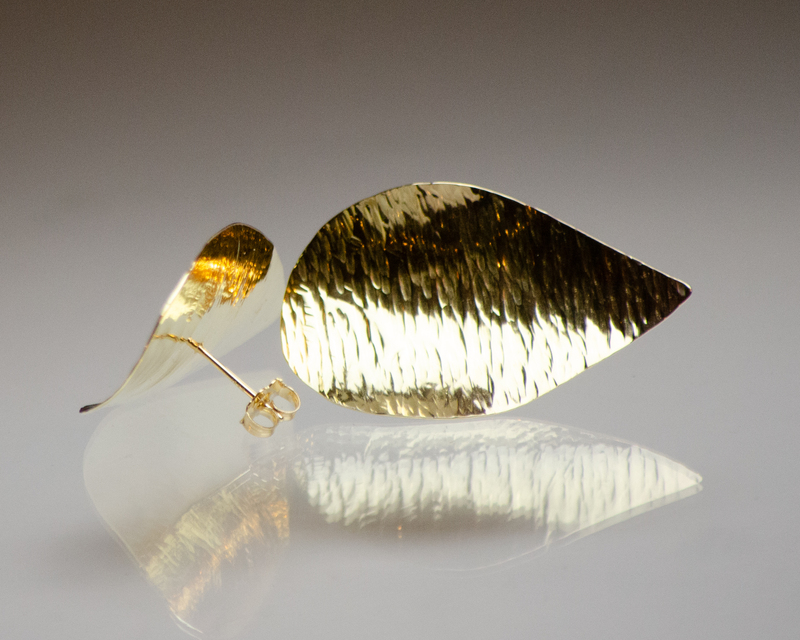 Part of a collaboration with Nikki Sedacca Designs. 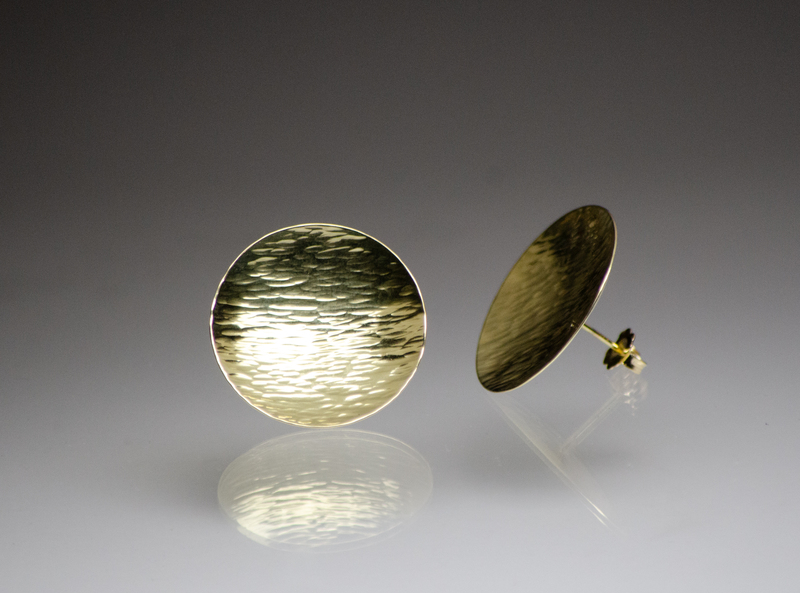 These earrings are fabricated from 18K gold and textured with a hammered ocean surface pattern. They are part of a collaboration with Nikki Sedacca Designs. 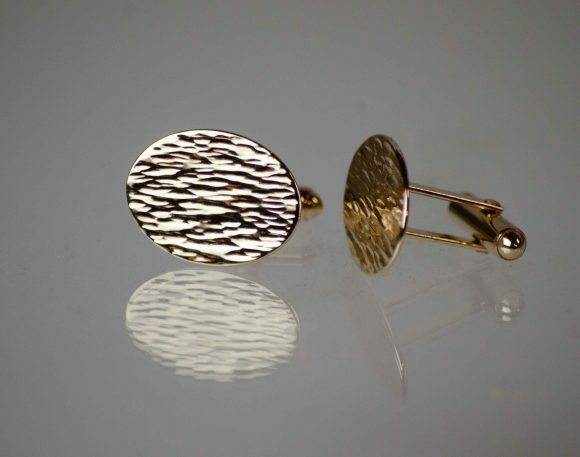 These cuff links are made of 14K gold and textured with a hammered ocean surface pattern. 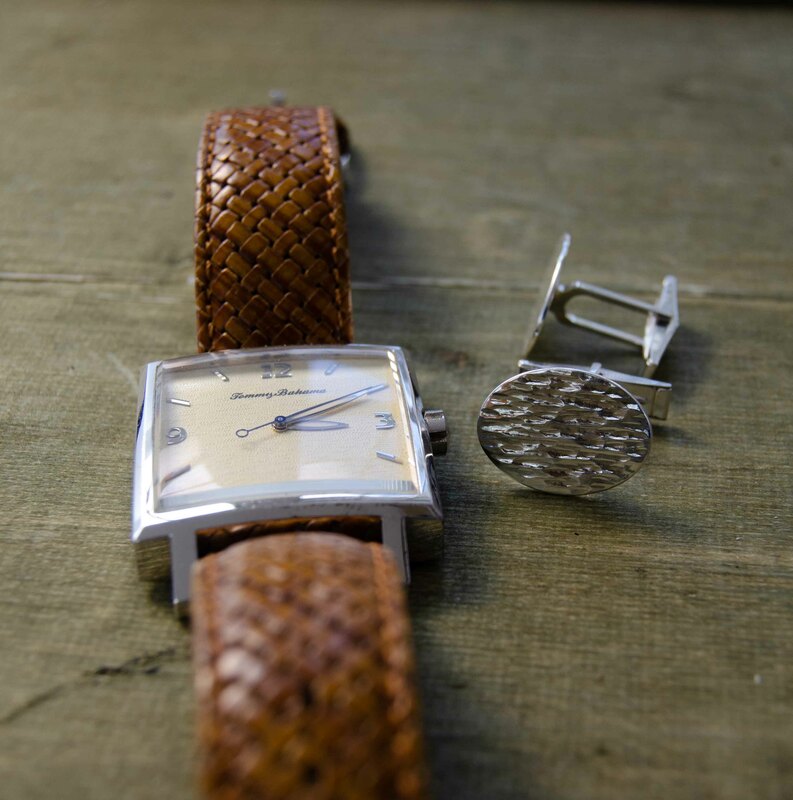 These cuff links are made from a tarnish resistant alloy of sterling silver. They are textured with a hammered pattern that is inspired by the surface of the ocean.